Colorado Criminal Trial – Objections – are important to understand as they form the basis of controlling what a jury hears or does not hear. Controlling the flow of evidence in Colorado criminal trials is part of what a defendant needs to understand in a trial that may – and probably will – impact the rest of the defendant’s life. 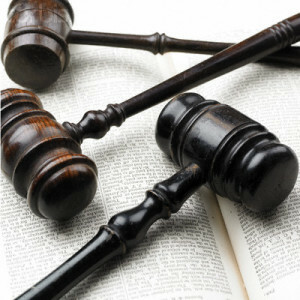 What follows are the most common trial objections ..
A question is ambiguous if: It may be misunderstood by the witness. It is objectionable on the ground that it may take on more than one meaning. A question is argumentative if: It is asked for the purpose of persuading the jury or the judge, rather than to elicit information. It calls for an argument in answer to an argument contained in the question. It calls for no new facts, but merely asks the witness to concede to inferences drawn by the examiner from proved or assumed facts. A question may be objectionable on the ground that The witness has already answered a substantially similar question asked by the same attorney on the same subject matter. A question assumes facts not in evidence if: It presumes unproved facts to be true. Example: “When did you stop beating your wife?” This question assumes that the person has beaten his wife. A question is too general, broad, or indefinite, if: It permits the witness to respond with testimony which may be irrelevant or otherwise inadmissible. Each question should limit the witness to a specific answer on a specific subject. A question is hearsay if: It invites the witness to offer an out-of-court statement to prove the truth of some matter in court. There are many exceptions to the hearsay rule. A question is irrelevant if: It invites or causes the witness to give evidence not related to the facts of the case at hand. A question is leading if: It is one that suggests to the witness the answer the examining party desires. However, this type of question is allowed on cross-examination of a witness. A question misstates the evidence if: It misstates or misquotes the testimony of a witness or any other evidence produced at a hearing or at a trial. A question calls for a “narrative answer” if: It invites the witness to narrate a series of occurrences, which may produce irrelevant or otherwise inadmissible testimony. A question is speculative if: It invites or causes the witness to speculate or answer on the basis of conjecture. 6. Deals with improper subject matter – settlement discussions, insurance, right to remain silent, etc. ABOUT THE AUTHOR: Denver Colorado Criminal Defense Lawyer – H. Michael Steinberg – Email The Author hmichaelsteinberg@criminal-lawyer-colorado.com or call his office at 303-627-7777 during business hours – or call his cell if you cannot wait and need his immediate assistance – 720-227-7777. If you are charged with A Colorado crime or you have questions about Colorado Criminal Trial – Objections please call our office. The Law Offices of H. Michael Steinberg, in Denver, Colorado, provide criminal defense clients with effective, efficient, intelligent and strong legal advocacy. We can educate you and help you navigate the stressful and complex legal process related to your criminal defense issue. Colorado Defense Lawyer H. Michael Steinberg provides solid criminal defense for clients throughout the Front Range of Colorado – including the City and County courts of Adams County, Arapahoe County, City and County of Boulder, City and County of Broomfield, City and County of Denver, Douglas County, El Paso County – Colorado Springs, Gilpin County, Jefferson County, Larimer County, and Weld County,…. and all the other cities and counties of Colorado along the I-25 Corridor… on cases involving …Colorado Criminal Trial – Objections.